Bread. Tahini. Bananas. Cacao. Cinnamon. But toast the bread, cut up the banana, pour the tahini on (literally) and sprinkle the rest on top and you have one very real and very delicious meal on your hands. 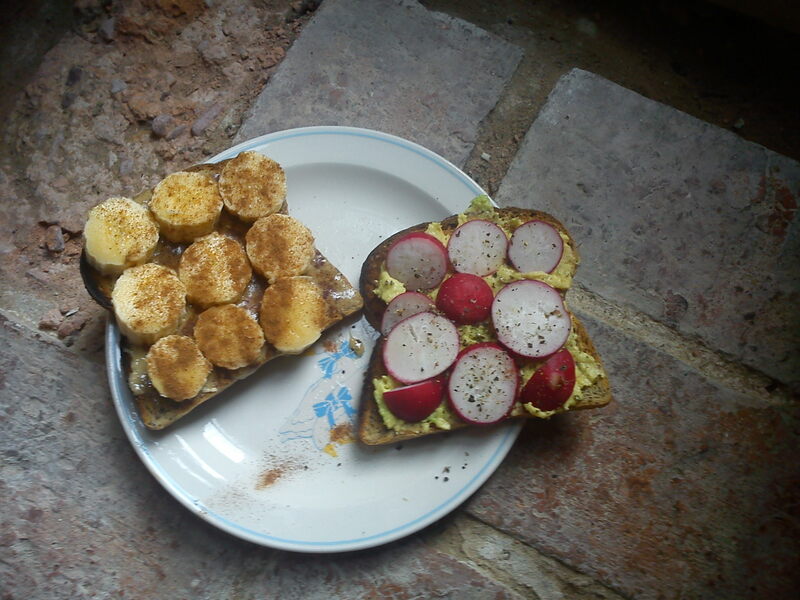 I also make radishes on toast (pictured above) which feature a vigorous amount of avocado and a twist of salt and pepper. These are typical toasted delights you would get at my place and are so yummy that you might not want to leave! My other go to breakfast meal is a savory one, because lets face it, we all need to mix our sweet with a little savory every now and again. So when I have no bread in my house (which often happens!) I have this little number on a plate. Kale (of the Tuscan variety). Tahini (duh). Potatoes. And that’s it. or b) roast some chickpeas at 200C till crispy with a good splash of olive oil, smoked paprkia, pepper and salt for an extra hit of protein. Because we all need a good chickpea pick me up to start the day. Feel free to add more spices to the chickpeas too if you like your mornings to be adventurous ones! 1. Chop potatoes up thinly. 2. Heat a pan to medium-hot and chuck them in with a bit of olive oil, salt and pepper. 4. Slide pan contents onto a plate. Drizzle on the tahini. 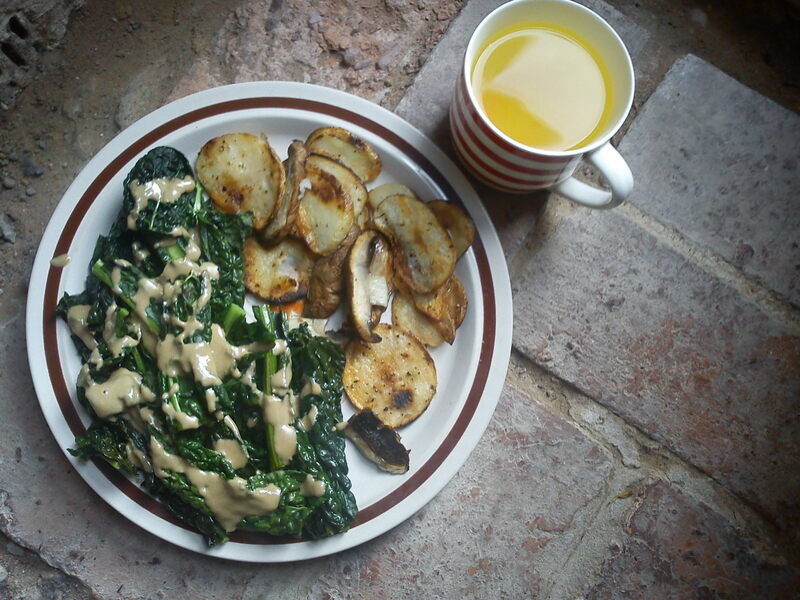 Hope you enjoy the “recipes” and dream of tahini and kale, because I sure do! Yuuuum. All of the above looks so delish.